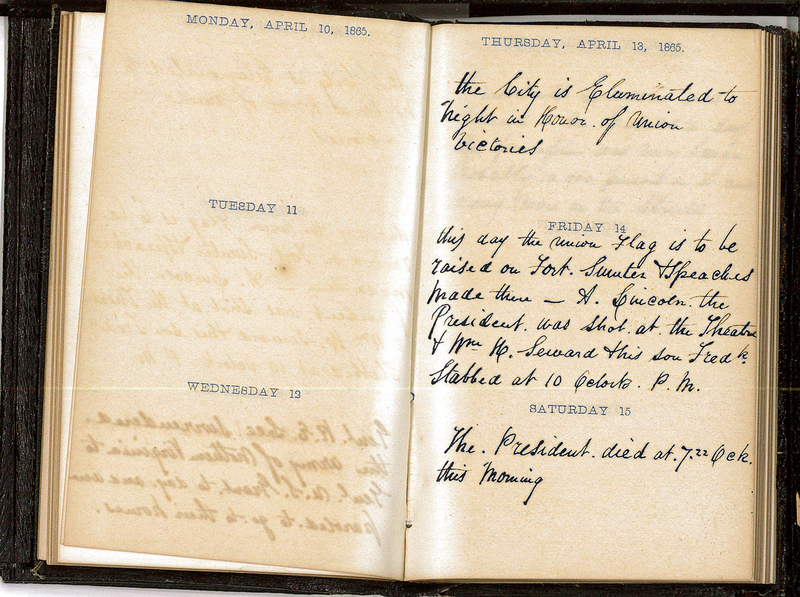 The journal contains entries from Thursday, April 13,1865, to Saturday, April 15, 1865, recounting the happenings around the District of Columbia. The author cites the illumination of the city in honor of Union victories. On the 14th it notes that Lincoln was shot and Seward was stabbed. The 15th notes Lincolns death at 7:22.